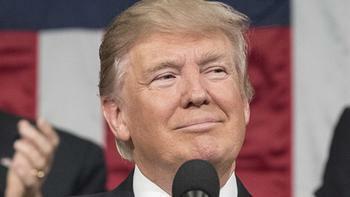 President Trump has released his proposed Fiscal 2018 budget, slashing federal spending nearly across the board, targeting many popular programs used by different groups of consumers. After looking over the spending blueprint, various consumer, charity and health groups have weighed in, nearly unanimous in their opposition. "AARP opposes the budget proposed today because it explicitly harms the very people we are counting on the President to protect," said AARP Executive Vice President Nancy LeaMond, in a statement. LeaMond says the budget targets Social Security benefits, as well as spending on health, hunger, housing, and transportation assistance to low and middle income seniors. While she concluded the budget sends a troubling message to older Americans and their families, she did find one thing that is praiseworthy. "We do want to acknowledge the Administration's paid leave proposal," she said. "Although it must be improved so that it addresses the workplace needs of all family caregivers, we hope that it leads to a national conversation about ways to support family caregivers in the workplace." John Auerbach, president and CEO, of Trust for America's Health (TFAH), expressed alarm at the budget's slashing of funding for the Centers for Disease Control and Prevention (CDC). He notes that the CDC has been in the forefront of combating exotic diseases like Ebola and Zika, as well as chronic disease like diabetes and heart disease. "The proposed $1.2 billion cut to the Centers for Disease Control and Prevention would be perilous for the health of the American people," Auerbach said. If the budget cuts were to be approved, he predicts an increase in illnesses, injuries and preventable deaths. An association representing retailers took issue with the proposed border adjustment tax, that could raise the price of imported consumer items. Though not specifically part of the proposed budget, the measure has wide support in the GOP-controlled Congress, that will also consider the budget proposal. Jennifer Safavian, an executive with the Retail Industry Leaders Association, says the measure would threaten jobs as well. "Retailers will continue to aggressively oppose any plan that attempts to shift the nation's tax burden from certain corporations that currently are subject to low effective tax rates onto America's working families," she said. "The border adjustment tax would jeopardize 42 million jobs retailers currently support, and would put an undue burden onto millions of American families that are struggling." In its coverage of the budget proposal, the BBC reports it would "take the axe to the social safety net for the poor." Among the steep cuts are funding for food stamps, Medicaid, disability payments, and student loan subsidies. At the same time, it raises military spending by 10%. There's a reason groups opposing the budget cuts are speaking up now. The White House request is just that -- it has to go before Congress where a number of changes are likely. Trump: Too many German cars sold in the U.S.